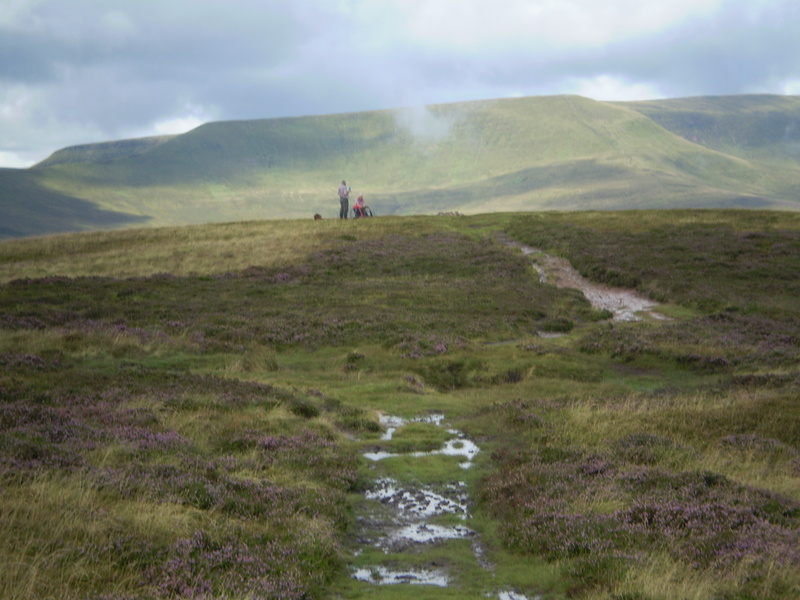 I recently led my first ever walk for The Brecon Beacons Park Society and chose a favourite walk around and over the mountain Blorenge which lies opposite Abergavenny on the south side of the A40 road. My route in the morning circumvented the mountain’s lower slopes before arriving at one of my all time favourite pubs The Goose and Cuckoo at Upper Llanover. 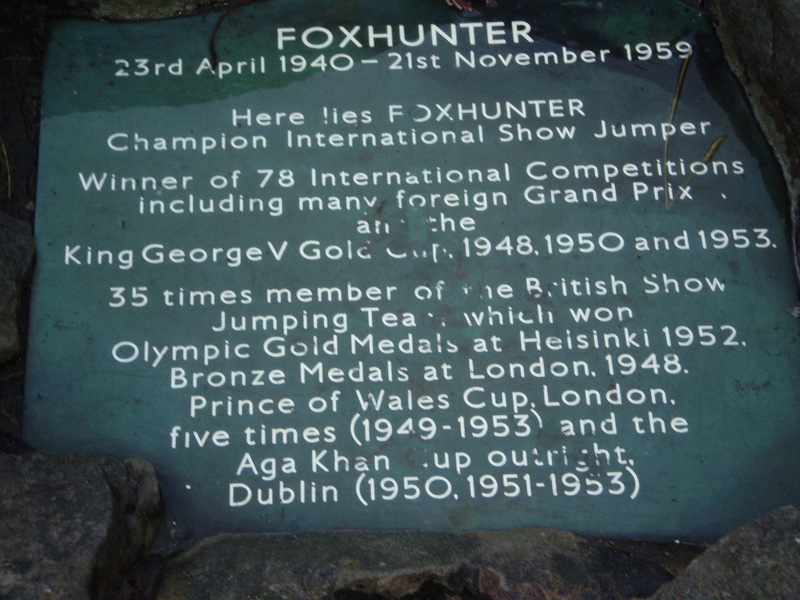 In the afternoon we returned over open moorland and just near the prominant radio masts and before ascending Blorenge I stopped to visit the famous Foxhunter Grave. This was the all conquering horse owned by local horseman Sir Harry Llewellyn who lived nearby. He was part of the UK showjumping team that won Gold at the 1952 Helsinki Games. The following day, sitting at home, I had the great pleasure of seeing Team GB win the same event in London 60 years on. 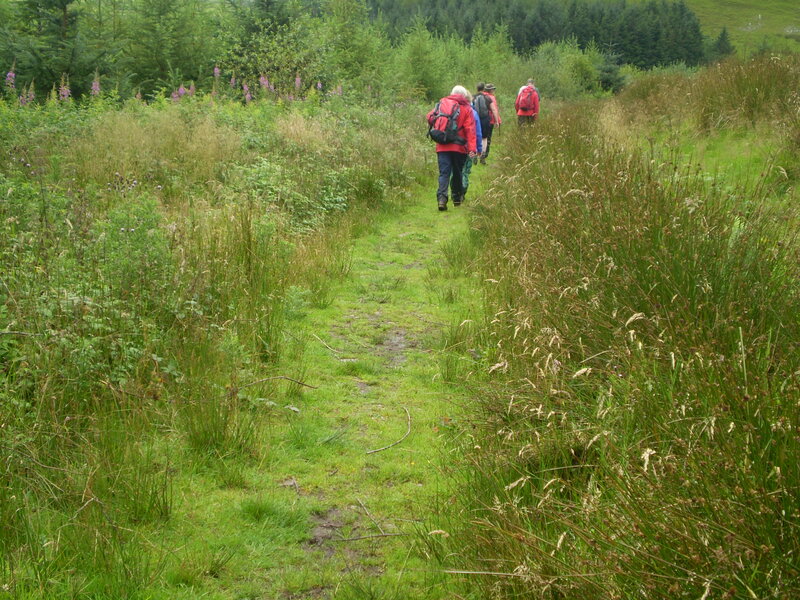 A few weeks later I was on a CRC Cheltenham Rambling Club walk which started at Llangynider which is on The Mon and Brec canal between Abergavenny and Brecon. We initially climbed up the attractive little! peak of Tor-y-Foel (550m) but then our route joined the old Brynore Tramway. This was built in 1815 and the horse drawn trams bought limestone down from quarries high on the hills to the canal for trans shipment down to Newport and the industrial valleys of South Wales. Cheltenham Rambling Club on Brynore Tramway Black Mountains. It was in use for about a hundred years until motor transport proved more economical. We late visited the Chartist Cave on the remote moorland which was used during the uprisings of the late 1830’s to store weapons and munitions for the cause. On a lighter note we stopped at The Red Lion Pub in Llangynidr for tea after the walk but could have had a Pint of their own beer named Canal Water!